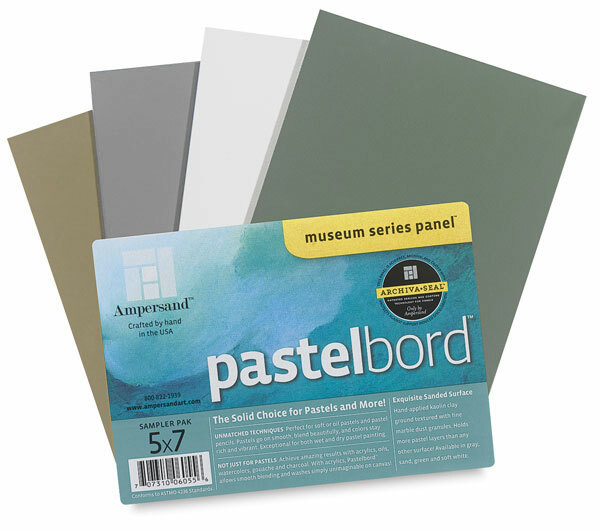 Pastelbord is perfect for soft or oil pastels and pastel pencils - colors go on smooth, blend beautifully and stay rich and vibrant in both wet and dry pastel paintings. Or paint on Pastelbord to achieve amazing results with acrylics, oils, and more. ™ Ampersand is a trademark.™ Pastelbord is a trademark. ™ Archiva-seal is a trademark.